Like many, I enjoy a good ghost story. Fiction or ‘based on true events’ I like them all. Especially when you have a master story teller weaving a a creepy tale that encircles your head for days on end. In my opinion there aren’t many good paranormal shows on the TV. Sure I enjoy Discovery’s “A Haunting” or recently the NatGeo’s “American Paranormal” series. Although these types of shows are good for the cheap thrill, they offer little evidence to the die-hard skeptics. 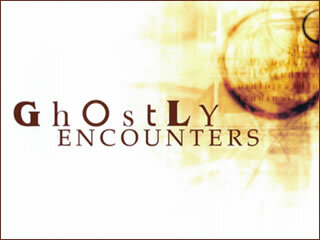 Biography Channel has a show called ‘Ghostly Encounters’ which is fairly well produced in my opinion. The concept is basic. You take a person with a story to share, setup them up in front of a camera and have them recount the story with vivid details. The show’s team them will splice in additional footage and an occasional recreation. With these types of shows you there is very little paranormal investigation or work done. They might talk about how someone got rid of the ghost that was haunting them, or how what they thought was a ghost could have been just their imagination; but the people that I’ve seen being interviewed, so far seem legit. They seem honest about their experience. Some of them still claim they don’t fully believe in ghosts, but just want to share something unexplainable that once happened to them. There is this episode about a young woman who was harassed by an “old hag”. In some countries, people call them “old hags” or demons or they are just referred to as “Sleep paralysis” or Hypnagogia. Which ever way you want to think of it, the story was creepy as hell. Watch it after reading the article. “I swear he was looking me square in the eye and I said, ‘yeah, this place has ghosts,’ ” Dennis said. The Toronto-based TV and movie producer knew he would come back east if he was ever looking for some encounters with the unexplained. Among his many projects, including the critically acclaimed The Border, Dennis is also producer of Ghostly Encounters, a paranormal documentary series shown on Viva, the W Network and A&E Biography. Last Wednesday found him in the city scouting for studio space to present some East Coast stories for the show’s fourth season, which will begin airing in September. Sitting in the lobby of the Hilton Hotel, with views up King Street and out over the harbour, he said the stories will dictate where they film. “But I know this area of town quite well from shooting here before, so I’m sure there will be some scenic shots from around here,” he said. Depending on the tales people tell, Ghostly Encounters could take its cameras along the coast anywhere from St. Andrews to St. Martins or a farmhouse in the countryside. “We will probably be here for a week around the end of March,” he said. The show is filmed in three waves but it all starts with people coming into a studio and talking about an encounter that has stuck with them. People selected to tell their stories do not have to make a big time commitment. It would be less than two hours, he said. Later, a camera crew from the show will collect images from any buildings or physical locations connected with the stories. And depending on the tale, it may also require staging a dramatic recreation. Back in Toronto, the pieces are all put together through the narration of host Lawrence Chau. “He provides the context and a wraparound for the whole story,” Dennis said. Ghostly Encounters uses an abandoned ballroom on the top floor of the King Edward Hotel in Toronto for the scenes with the host. “It’s decayed and falling apart and the paint is peeling, but it has fabulous windows that go all the way around and gives us fabulous light, so it’s kind of spooky and uplifting at the same time,” Dennis said. Stories of experiences with the paranormal are beginning to flow in from around New Brunswick. “I think everybody here has some sort of ghost story, it’s just a matter of getting them to tell us,” he said. The show presents a variety of stories from disturbing to comforting to playful, he said. “An author of children’s stories watched as a ‘grey man’ smashed the ritual glass plate on her family’s Passover table. A truck driver encountered his guardian angel on a long, lonely haul across Southern Ont. And a middle-aged house wife reminisced about her days as a burlesque dancer when a ghost with a top hat and cane hung out in her dressing room,” he said. People with a tale to submit may contact Dennis at [email protected] or by calling 1-877-889-5737. I watched a similar show about celebrity ghost stories. Maybe the same guy doing it. It was the same format as described above. After watching this story I think this girl has a combination of things. She’s obviously having sleep paralysis combined with night terrors. One thing that she may not be considering is that she may have brain damage from the anorexia. I can see where this is like a recording that comes in the night. It’s so familiar now that it’s part of her life. I feel bad for her. Yea, this reminds me a lot of the celebrity ghost stories. IMHO Ghostly Encounters is the best paranormal show on television since A Haunting. I think what makes it compelling beyond the stories, is the exquisite black and white cinemaphotography and fluid editing. My only criticism is the brevity of the shows (half hour), which often are halved into fifteen minute segments; and perhaps unnecessary exposition of each segment by Chau. The only other show that comes close is The Haunted featured on Animal Planet. Their segments are an hour long and much more thorough in delineating the stories. They also include some of the paranormal investigators whose evidence – at least in some episodes – has been quite compelling. I think it would be fun for contributors on this site to come up with a pitch for the ultimate paranormal show, borrowing from those past and present, and then at the end a poll is taken to determine the which is best. Just an idea. I also like watching Ghostly Encounters, it is one of my favorite paranormal shows that i watch today. But i am hoping that all of those stories are ” True ” and not just ” made up “. Because some people will say anything just to get on Television. But how can you tell if the story is ” Real ” or if it is ” Fiction ” ?? Some people are just good Store Tellers, and maybe perhaps 20% or 30% can be real, but i doubt that all the stories are True, as some are just too far fetched to be real. I agree that physical conditions can precipitate the conditions for this experience, however I do believe it (the “being/experience”) is able to be “conquered” whether the approach is psychological or metaphysical. The belief in the ability to do this on the behalf on the one who is experiencing this is one of the primary requisites. I have experienced this myself, and having “banished” the entity, am committed to trying to share knowledge about this and learning more. Like Kat, I found most medical examples unsatisfactory. It really is impossible to convey the nature of pure evil that confronts you when this happens, but the empowerment and relief from mastering the ability to banish this being is equally profound. If you are interested in knowing more, or would like to share your own experiences, please visit my blog! I think the Host is expendable. Dumbs down rhe whole experience. He trying to be a psycologist or something? Awesome keep up the good work. I can totally relate to everything in Kats story been there still am. Except for the eating disorder. I have learned to just live with it. No big deal. Hello um I have seen ghosts all my life for some unknown reason I have always been able to see, hear,sense and talk to them. I won’t go to cemetary’s because it is too much. I’m 19 and have never lost this strange ability. I’m dead serious and not out for any fame or fortune. I would like to tell you my full story in a private interview as it may give me some pice of mind.